"There will come a time where he won't be making the decisions." Cally mind is taken over by an outside force and she is used to sabotage the Liberator and bring it to a distant planet. Upon arrival the ship is trapped in a strange 'web' that, despite their best efforts, they cannot escape from. After freeing Cally from her possession, the crew are contacted by their captors who request their help. Blake teleports down to the planet and meets Novara and his sister Geela. They live in small compound and appear to be under siege from small primitive creatures called Decimas. Novara and Geela require power cells from the Liberator in order to keep their compound operational. They will also need the power in order to remove the web currently holding the Liberator. 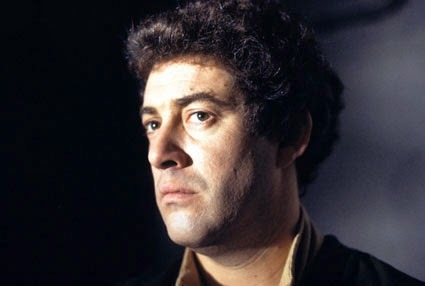 Blake initially agrees to help them but then discovers that both the siblings and the Decimas are genetic experiments. Novara and Geela have no life of their own and are controlled by the mental powers of the Lost - exiles from Cally's home planet of Auron. The minds of the Lost themselves reside within a shrunken wizened body called Saymon. Saymon wants to use the power cells to destroy the Decimas. 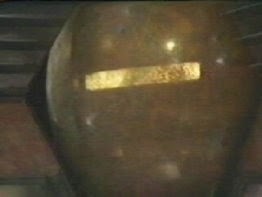 Avon brings the power cells down from the Liberator and Blake tries to force the Lost to change their plans for the Decimas. His attempt fails but, as the Lost prepare to destroy the Decimas, the creatures attack the compound, destroying Novara, Geela and Saymon; effectively killing the Lost. Blake and Avon use the power cells to destroy the web and the Liberator departs, back on course for Centaro. Blake: Is suitably impressed by the power and technology displayed by the Lost who taken over his ship but not so impressed that he forgets his morals. He is horrified by the knowledge that the small Decima creatures have been bred for slavery and that, by helping the Lost, he will also be condemning the Decimas to death. He thinks he can bargain with the Lost in order to save the Decimas but underestimates them, putting everyone at risk. 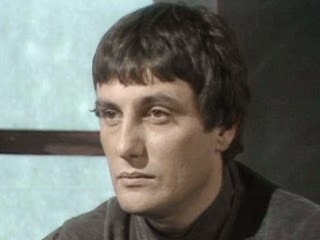 Avon: Not for the first time, Avon suggests that he will usurp Blake as leader of the group before long. That said, he seems to be happy to bide his time as, minutes later, he saves Blake from being blown up ("I'm as surprised as you are"). He's also happy enough to along with Blake's plan to withhold the power cells from the Lost. He can't really comprehend why Blake wants to help a group of creatures as supposedly savage like Decimas. Jenna: Is still somewhat suspicious of Cally - with good reason- and says that she should have been allowed to stay on board. Is briefly taken over by the Lost and used to communicate with Blake after the Liberator becomes trapped in the Web. Vila: Becomes the unofficial weapons officer as he takes charge of the Liberator's neutron blasters. He's been looking forward to using them although they prove ineffective on the Web. He is wearing a new outfit that gets a somewhat negative response from the possessed Cally - she hits him round the head with a big spanner. Gan: Helps to overpower the possessed Cally and is later assigned to watch over her in case the Lost try to take control of her again. Cally: Is mentally controlled by an outside force for the first - but not the last - time in the series. On this occasion, she's taken over by the mental powers of Saymon and the Lost - members of her own race. They get her to sabotage the ship and fly it to the unnamed planet where they are based. She also knocks out Vila for good measure. Concerned that she may be taken over again, Blake doesn't allow her to go down to the planet with him. Zen/The Liberator: For the first time we see the ship's auto-repair systems (mentioned briefly in the past) in operation. Avon, causes some equipment to explode by mistake and the repair systems cut in seconds later and make everything good as new in moments. The auto-repair is unable to prevent damage to the ship as it can't prevent Cally's acts of sabotage, simply repair the damage caused. The ship is also armed with neutron blasters that, although powerful, are unable to cut through the web surrounding it. Using the weapons also seems to be a tremendous drain on the ship's power supply and need to be used sparingly. A radiation flare shield needs to be activated before firing the weapons, something that Vila forgets to do at first. Zen again mentions that he is forbidden to interfere in the crew's activities, once again implying that something is preventing him from becoming too involved. This isn't a favourite episode of mine and I don't think that I'm alone in that opinion. 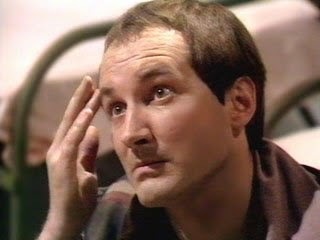 When I watched the compilation videos of this series, released back in the 1980s, 'The Web' was the first episode not to appear on any of the videos. It's not hard to see why. 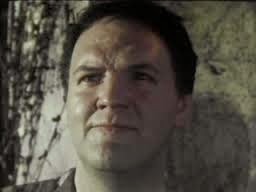 Although the episode focuses on Blake and highlights his mission to help the downtrodden and oppressed, it's a theme that recurs throughout the series and is generally done a lot better elsewhere. 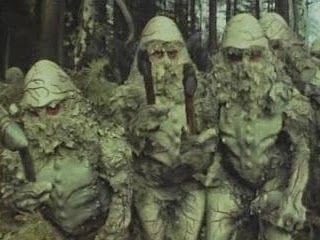 The downtrodden Decimas - who are a cross between the Ewoks and the Ood - are the oppressed mass here, fighting for their freedom but I find it hard to care about their plight. 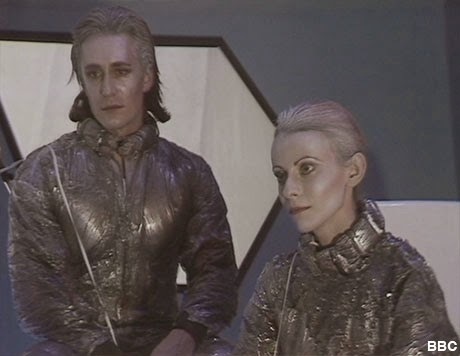 Of rather more interest is the Lost, the exiles from Cally's home planet of Auron. Possessed with superior technology and powers to that of Blake and his crew they make for interesting and formidable opponents - right up to the last few minutes. Everything falls apart when the Decimas invade the Lost's compound , thanks to one of the characters forgetting to close the front door. The villains look particularly inept and Blake is let off from having to make a difficult moral decision: does he give the Lost the power to destroy the Decimas or does he refuse and potentially put himself and his entire crew in danger? With the episode focused on Blake, the rest of the crew take a bit of a back seat. Vila gets knocked out, Jenna is left on teleport duty (again) and Gan almost needn't have been there at all. 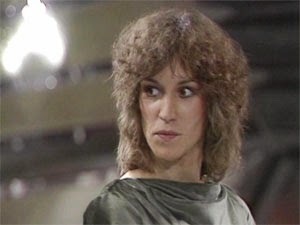 Even Cally, after her initial possession, is largely ignored for most of the episode. Avon does get some nice moments though.